Hello my friends. 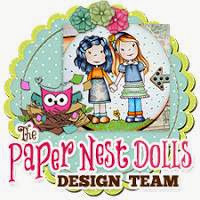 I have about an hour to post an entry on the Paper Nest Dolls challenge blog. It's there first challenge ever and it's an 'Anything Goes' challenge. 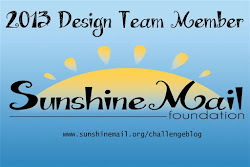 One of my good friends Valerie (from Valbydesign.com) is on their design team. 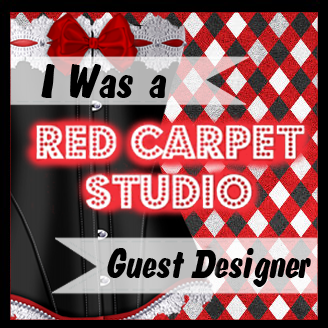 They have the cutest little images on their website. I didn't have time to color in a brand new image so I found one that I hadn't posted before so I thought I would use it. It's a card I made for my sweetie last year for his birthday. It's not an image I would normally put on any old card but for him it seemed perfect. It's an image from Kenny K Designs and she's called 'Alice Chains'. Unfortunately since I made the card almost a year ago I don't remember the papers I used or the color COPICS I colored her in with. I really thought this came out cute. Wowee! Super cool card, Heidi!! !